With the most important top-news of this week that has left entire digital world as Facebook has leaked its users base. 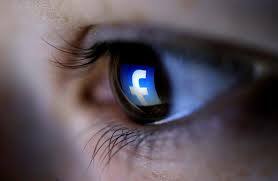 It is reported that almost 50 million Facebook users data was leaked. Russian origin at Cambridge University in the U.K in 2014 has operated an Facebook app that paid hundreds of thousands of users to take a psychological test. By this app Users had to share the data of their Facebook friends with the app. Kogan later sold the data to Cambridge Analytica, a voter profiling company in the US. With the sales of Facebook data from the app, Kogan has breached Facebook policy and event the social networking giant has suspended Kogan and Cambridge Analytica. Cambridge Analytics is a US-based voter profiling company. The company is owned by Robert Mercer, an American hedge fund manager. It came into limelight in 2015 when they worked on Ted Cruz’s presidential campaign. A year later, they worked on Donald Trump’s successful presidential campaign. The company also worked on the “Leave EU” campaign for United Kingdom. Two media reports published in The New York Times and The Observer have detailed how Cambridge Analytica used information of more than 50 million users on Facebook. With the aid of the leaked data, the company got access into private social media activity of a large chunk of American voters. It is being alleged that the data was used to work on President Trump’s successful campaign in 2016. As of New York Times – “Cambridge paid to acquire the personal information through an outside researcher who, Facebook says, claimed to be collecting it for academic purposes.” The data was leaked and Facebook has had to issue a stern statement. What Facebook says about this breach?